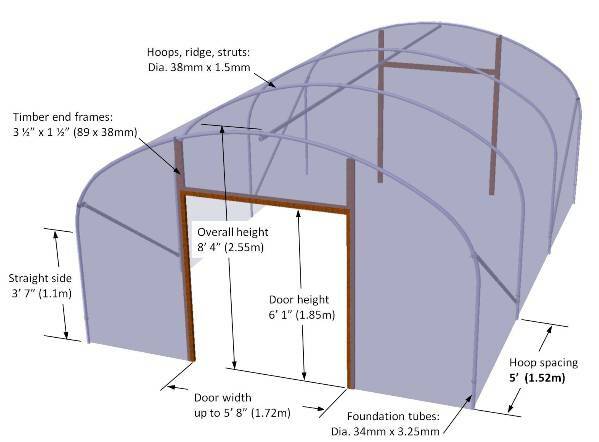 For our "Ultra" range of polytunnels, we've used an whopping 38.1mm diameter tubing for the hoops, ridge and corner struts. The steel is high tensile "Z35" grade which is galvanised and has a 1.5mm wall thickness. 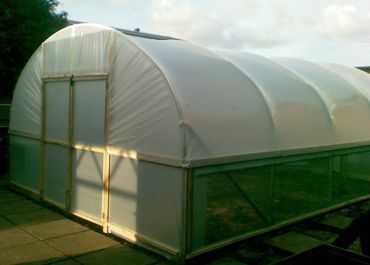 For our 14ft wide "Ultra" range, the polytunnel hoops are spaced at 5ft apart for the most robust 14ft wide polytunnel available.